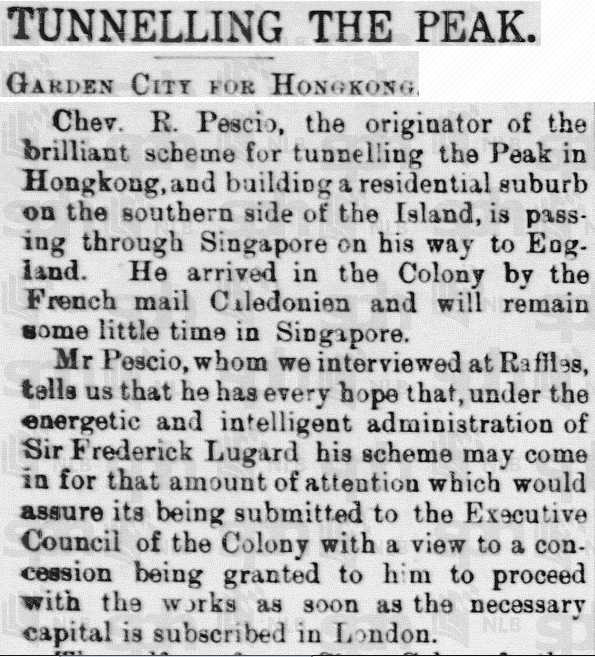 HF: Chavalier R Pescio was a man with vision. 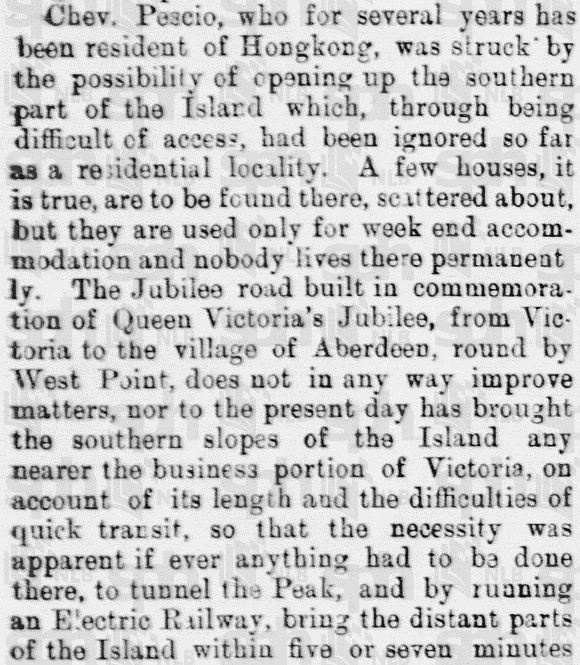 Especially when it came to trams and tunnels in Hong Kong. 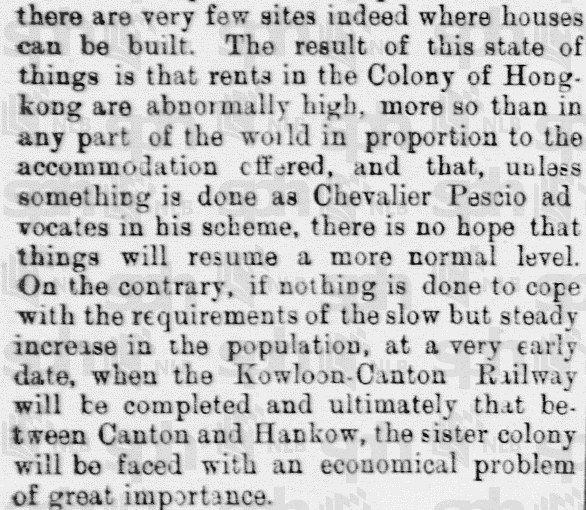 The Singapore Free Press and Mercantile Advertiser, 11 August 1909 contains this article which notes “rents in the Colony of Hongkong are abnormally so, more than in any part of the world in proportion to the accomodation offered”. Even then a complaint. 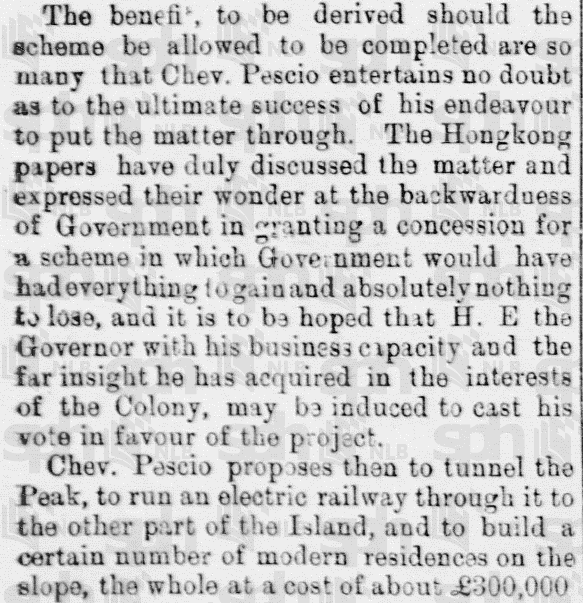 Pescio’s plan was to open up the south of Hong Kong island by “electric train.” This would have involved a tunnel under the Peak thereby linking Victoria and “distant parts of the Island within five or seven minutes” including Aberdeen. At a total cost of HKD3.5m. 5 minutes? 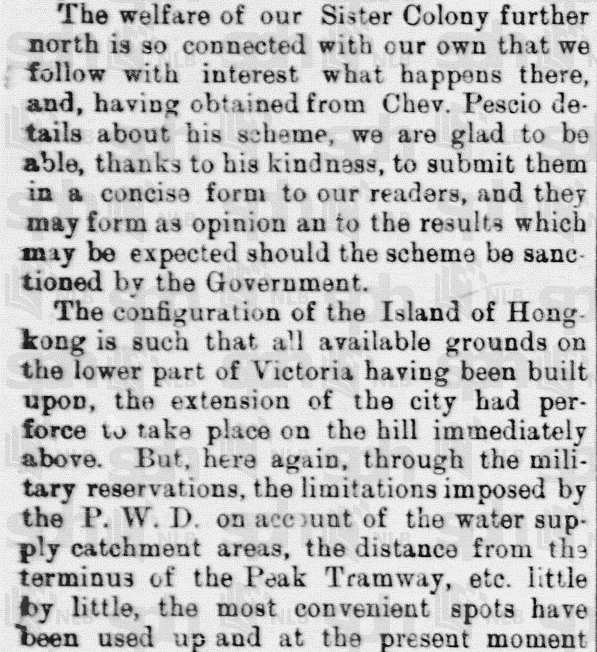 I reckon that’s Victoria (Central) to Aberdeen non-stop at about 80kph – not exactly bullet train speeds but an electrifying journey in a tram especially underground at any time. 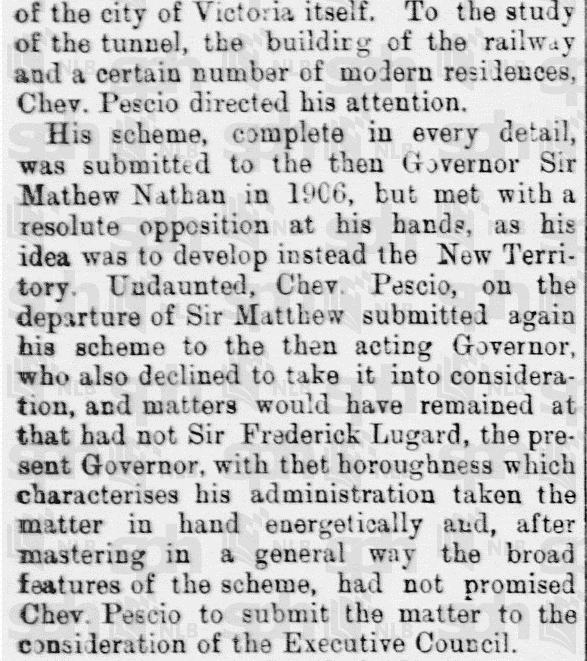 I wonder how the tunnel section would have been lit? The linked Indhhk article below provides a map and details of the scheme.